Our team is comprised of talented individuals who are members of the National Court Reporters Association with numerous years of experience providing exceptional court reporting services. Our experienced team. Worldwide Court Reporting offers an extensive array of services to companies in all 50 states. From legal videography to real time court reporting to legal interpreters, you need not look further than Worldwide Court Reporting for all your legal support needs. We have access to all the latest technologies that covers everything you need. Our certified deposition court reporters are trained in realtime, video court and verbatim court reporting and can manage any size case in any size firm. 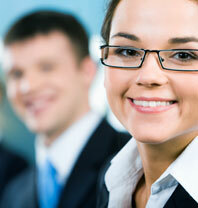 They are experts in such proprietary systems as LiveNote™ and e-Transcripts ™ . In addition to court reporter transcript and deposition services, our specialists can handle everything from planning your pretrial proceedings to booking conference rooms to providing travel support. We are accessible 24 hours a day, seven days a week to handle any issues that may arise in your case. Our specialists can also arrange for an Expert Witness to testify on a variety of topics. Worldwide Court Reporting is pleased to provide national and international clientele, conducting business in the area, with access to our corporate owned lodging and transportation services. Contact your Scheduling Services Provider for more information. Transfers from airport and corporate lodging guest houses are available. Please click the link to learn more information our Corporate Lodging and Transportation Services.